Diamond clear material makes documents easier to read. Nonstick polypropylene is archival-safe, acid-free, and won't lift print. 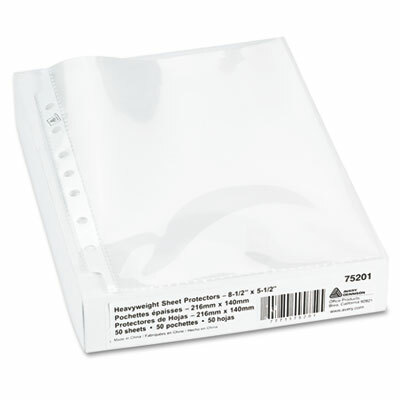 Three-hole punched, allowing you to store unpunched inserts. Clear binding edge for a professional appearance.